Organic cosmetics of highest quality – Extraordinarily pleasant for skin and senses. The human skin is a protective hull, a playground and a mirror of the soul. Skin-deep yet complex and profound serving as a canvas for emotions from goosebumps up to skin orgasms. With AQUA ORGANIC we dedicated a line of skin products to this sensual all-rounder that honor and stimulate its multiple talents. Honesty, balance and wholesomeness are the key values of our concept reflected in the award-winning plain product design. Every letter stands for a specific application area and creates individual skin sensations ranging from cooling to warming and soothing to invigorating. Altogether the ever-growing line embodies our whole medicinal expertise with fluent skills in dermal multisensuality. One of our best ingredients: a sound No! Our definite Yes to healthy skin comes from an explicit No to mineral oil derivates, parabens and artificial fragrances and colourants as well as excess package, package leaflets and sample material. Our approach: The shorter the list of ingredients the clearer and more target-oriented the product. Instead modern vegetable ingredients from controlled organic farming combined with creamy and moisturizing textures received our full-bodied Yes. AQUA ORGANIC is vegan, hypoallergenic and tested dermatologically making this line of skin care a well-balanced cosmetic product of the highest quality. Yes! The Reddot design award is an internationally renowned design award and is only given to excellent product design and communication design. 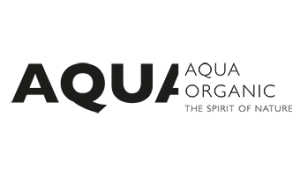 In 2013 AQUA ORGANIC received the award in the field of cosmetics product communication for its exceptional packaging and communication design.